"I wonder if you can buy Wallander books at that bookshop?" 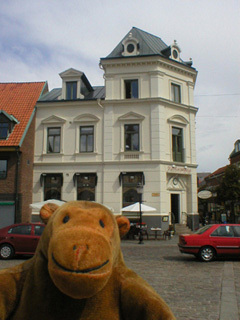 As he explored Stortorget, Mr Monkey found the corner restaurant where Wallander forgets his wallet when he's invited a colleague for a meal. The bookshop also gets mentioned in the books, too. 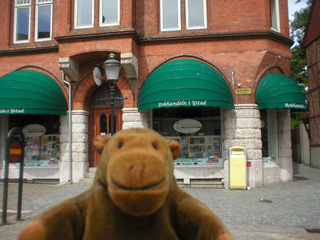 The Stortoget is 4 on the Wallander route.